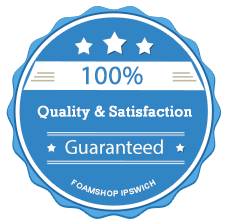 The Foam Shop has been successfully making tailor made mattresses for beds, caravans and boats for over 30 years. We offer a service to create the perfect mattress for you to ensure the best nights sleep possible. The following range is suitable for everyday (nightly) use, Regal Luxury, Imperial Comfort and the Stately Memory Range. This foam is an ideal choice when price is critical. It will provide a springy comfort and is suitable for daily/nightly use. The ultimate in quality and comfort. A combination of high grade, deep visco elastic "memory" foam and melamine free reflex foam. The heat sensitive memory foam will mould to the contours of your body, while the reflex foam base provides excellent shape retention and support. A natural rubber based product, renowned for quality and durability. LX foam is Manafactured with a pin core construction which provides an excellent ventilation and comfort. As a natural product this is an anti-bacterial, hypo – allergenic foam that inhibits dust mites, fungi and bacteria which makes this mattress ideal for allergy sufferers and people with respiratory problems. Only available in medium density and is recommended in 4, 5 and 6” only for a mattress. Due to its heavy construction, this mattress only comes with our high quality and durable 100% cotton mattress ticking cover. The mattresses we supply can be made to any thickness. However, in our expert opinion we recommend a thickness of 6 inches as this gives the best support for all types of bases. A 5" inch thickness can be utilised but should be considered as the minimum thickness when the mattresses being supplied is for a fully grown adult. Lightweight adults (small body frame) and children can suffice with 4" inches in thickness. We can offer a combination of foam thicknesses and densities that can be bonded together to suit your requirements. One of the most popular combinations is 3 inches of medium density foam bonded on top of 3 inches of firm density foam, this will give you that firm support required, but with that little extra comfort. When purchasing a mattress or overlay it is recommended to have your mattress covered. All of our mattress covers are tailor made for a perfect fit. 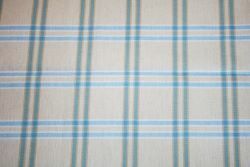 The mattress covers are made from 100% cotton mattress ticking fabric which is cream with a dark blue check pattern (Colours are subject to change). These are the best type of covers and last much longer than standard poly cotton covers on budget mattresses. The mattress ticking complies with the furniture and fire safety regulations, therefore it is recommended this mattress covers are never washed. These are fitted at time of purchasing mattress and cover. Click here To Have Your New Mattress Custom Made To Your Specification.